In the late 1970's, China had less than one television receiver per 100 citizens with fewer than ten million of the Chinese people having access to a television set. Today it is estimated that there are now about 25 television sets per 100 people and that roughly a billion Chinese have access to television. To feed this massive audience there are approximately 700 conventional television stations--plus about 3,000 cable channels--and 1,000 radio stations. China Central Television, CCTV, is the national broadcaster in Mainland China. Organizationally it is a subministry of the People's Republic of China's central government within the State Administration of Radio, Television, and Film. Its news reporting follows the direction of the Propaganda Department of the Communist Party of China. 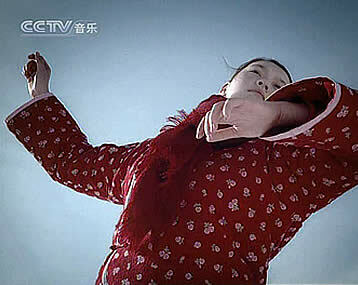 Most of CCTV's programming is a mix of comedy and dramatic programming, the majority of which consists of Chinese soap operas. The CCTV network has a daily on-air time of over 200 hours. CCTV attracts more than one billion viewers, with coverage available to over 90% of the Chinese population. CCTV has sixteen different channels of programming content and competes with television stations run by local governments (such as BTV and several regional channels) and foreign programming which can be readily received via satellite in China. Eleven of the CCTV channels are available free-to-air in Australia and New Zealand via the Apstar VI, Asiasat 3 and Panamsat 8 satellites. Eight CCTV channels are available free-to-air via Apstar VI. CCTV-4, CCTV-9 and CCTV-E&F are available to Australia & New Zealand from both the Asiasat 3 and Panamsat 8 satellites. Various CCTV channels are featured in the MediaExplorer package on DVD Disk Two and Disk Four. CCTV-1 is the flagship channel of China Central Television - the Chinese national television broadcaster. CCTV-1 covers the whole landmass of China via satellite and broadcasts an average of 20 hours programing each day. National news bulletins are broadcast 3 times daily with the local 7 PM news being relayed by local television stations across China. CCTV-1 specialises in news, TV drama and documentary programing. CCTV-4 aims to serve international audiences including residents in Hong Kong, Macao and Taiwan. The channel was launched on October 1, 1992, and virtually covers the world via eight satellites. Specializing in news reports, CCTV-4 rotates its 8 hour program block three times a day to cover a full 24 hours. With the aim of introducing China to an international audience, CCTV-4's programs cover world-politics, economy, society, culture, science, education, and history. Officially launched on 25th September 2000, CCTV International is dedicated to reporting news, current affairs and information to its global audience, with a special focus on China. CCTV-9 covers the globe via six satellites, 24 hours a day. On October 1, 2004, China Central Television (CCTV) launched a new information service in French and Spanish, CCTV-E&F. Four hour program blocks alternate between the two languages. CCTV-E&F features programs that introduce China to an international audience. The Spanish and French programs cover world-politics, economy, society, culture, science, education and history.